Warning: This is not exactly the “cleanest” or “paleo” post. My confession of the day is that we still have peanut butter from time to time. Yes, we ALWAYS have almond butter but there are some mornings when we just want a treat, mix into a salad dressing or even in cooking. 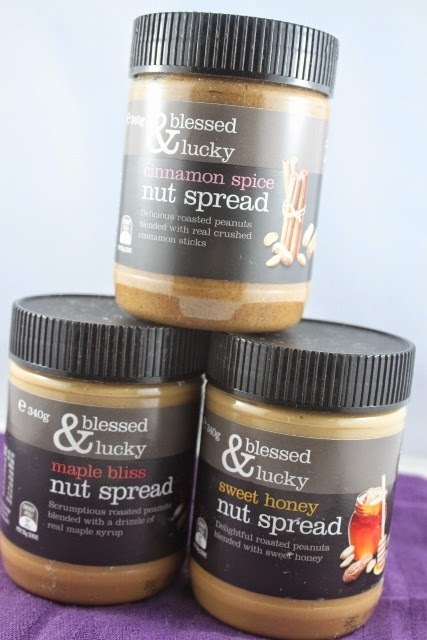 Blessed and Lucky sent me 3 generous jars of their peanut butter for reviews. I have to say their flavours did make me sit up. Cinnamon Spice, Maple Syrup and Sweet Honey. YUM! Tasting them, I realised how much my taste buds have changed. The sweet honey and maple syrup was way to sweet for me. I can taste the granules of sugar. However, I really like the subtle maple syrup taste in nut butter. It’s also quite smooth and I can see it will be a hit in the mornings or in between waffles. My favourite I would say would be the Cinnamon Spice. It’s less sweet and I think it’s pretty unique to add cinnamon to peanut butter. It works though. Certainly not a everyday spread- not even every other day, but it’s a nice treat from time to time. I decided to make a big batch of cookies for hubby. This turned out crispy on the outside, and a little chewy with the right crunch through it. Like most cookies, they are a treat food. 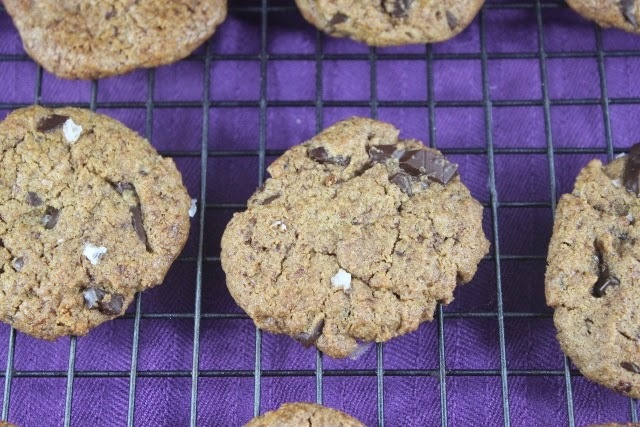 This is particular a treat because the nut butter has sugar added to it already! So less is more when adding any sort of sweetener to the batter. The pinch of salt also balanced out the sweetness. So when Asher is asleep at 10pm, I have a warm cup of almond milk with chia tea leaves and savour one cookie… and think about how sweet life is at times. Preheat Oven 180C. Line cookie trays with baking paper. In a mixer, whisk peanut butter, sugar and eggs till well mixed. Then add in vanilla, baking soda. Fold in dark chocolate. Place teaspoon on baking tray. 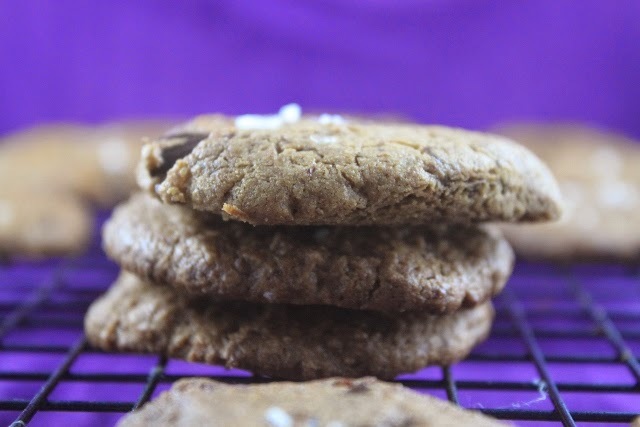 Sprinkle sea salt on each cookie. Bake for 10-15 minutes. Cool. Note: I received these jars as a gift from Blessed and Lucky but views are entirely of my own! This entry was posted in Not Strictly Clean, sponsored.